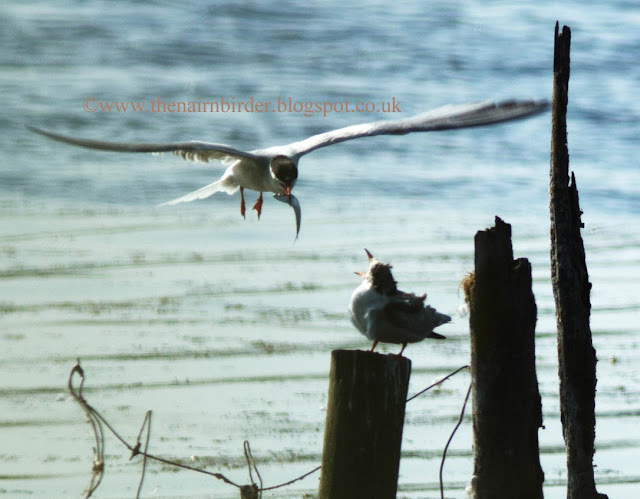 The Nairn Birder: Redshanks are back! And the Ganets and Terns are feeding. Redshanks are back! And the Ganets and Terns are feeding. It may appear a bit depressing to see the Redshanks and Turnstones return from their summer breeding sites already - but they are often the first to return ,and it doesn't mean the summer's over! Maybe they've seen what great weather we've been having and decided to come home early! 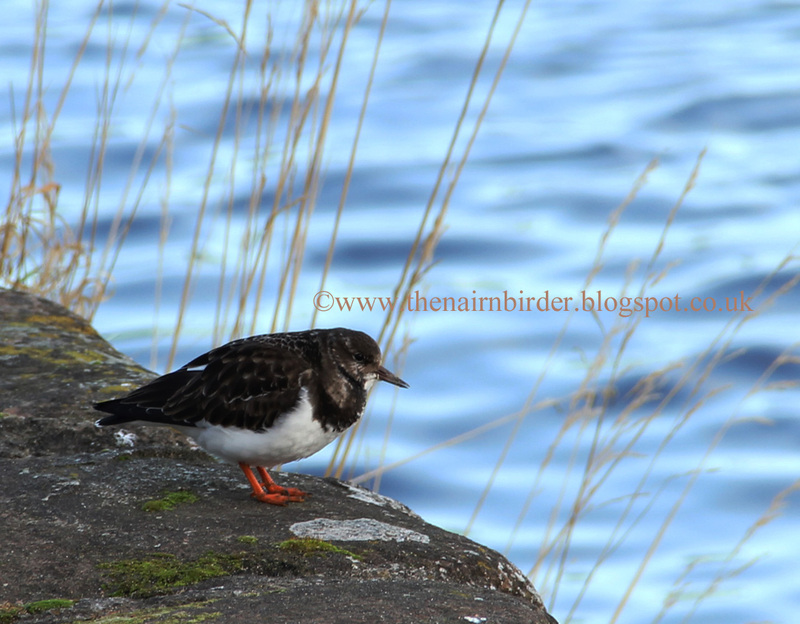 Here's a sight to look out for: a Turnstone sittign on the wall near the mouth of the River Nairn. We are in a relativelyquiet period for birds, but there is still plenty going on. If you're lucky enough you will catch the beginnings of the migrating waders on their way south and passing by the Moray Firth coast. But luck doesn't come into it when looking at to sea to look at the Gannets and Terns feeding. Just stand on the Links path or the car park at the harbour and look out to sea. The large Gannets will diving from great heights head first into the water, making a great splash, and bobbing up to the surface with a fish in its mouth. The smaller ones diving with them (and the noisier ones) are Terns - probably Common Terns. Here's a photo of a Common Tern feeding its young at a loch a few miles east of Nairn, taken at the weekend. I couldn't get to the position to take the pic, so Kate took over - and yet another great photo from her! I'll be taking some more photos of the Gannets and Terns today. Once I process them I will post them on the blog - if they're any good that is!